I love everything about Dogtopia from the facility, to the cameras, to the hours; although I wish they were longer on the weekends, to, and especially, the staff! I feel totally comfortable leaving my dog in their hands. We brought Foxy to Dogtopia because her separation anxiety was causing daily destruction in our house. In just a week she seems more calm and relaxed at home, also very loving and cuddly…generally happier. This is a great thing. We do check the webcams quite frequently. I do wish the monitors interacted a bit more with the dogs. They seem to favor puppies and kind of ignore the older, senior dogs. Also, it think a little more outside visits would be nice. Everyone at the front office was very helpful when I brought Teddy in to meet the other pups. The staff were friendly and were clearly concerned about Teddy’s successful integration into the playroom. We’re grateful that he is so well cared for! Thank you. That there is someone with the pups at all times! Everyone is very kind and accommodating, so I feel very safe leaving my girls in the care of dogtopia. We are always greeted at the door by name and everyone is friendly. We love how we can check in on our baby online too. I love the set up for the dogs. 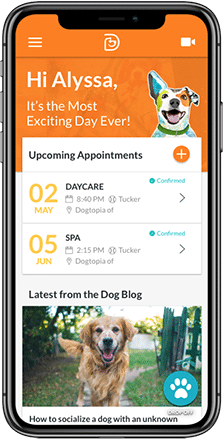 The App to be able to see your pet throughout the day is priceless!! The size of the place and attention the dogs get. I love how tired my dog is when he comes home! 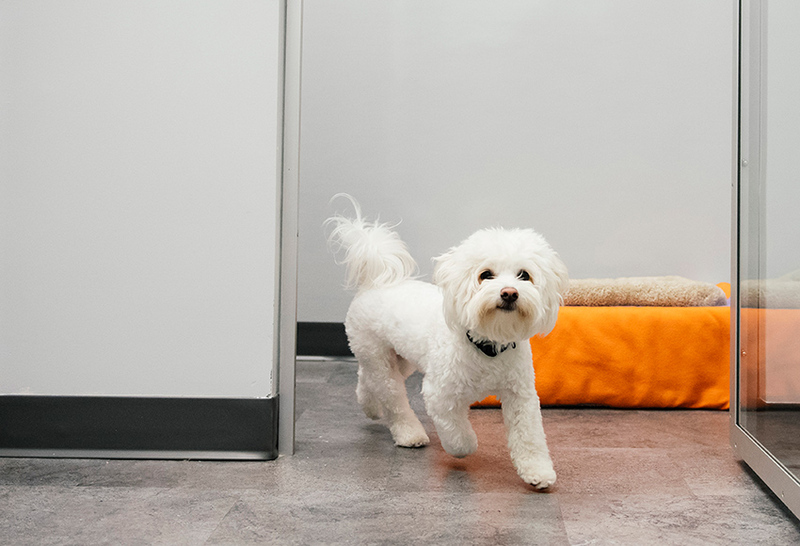 Are you looking for a safe and fun place to leave your pup when you can’t be with them? Dogtopia of New Orleans is your one-stop shop! 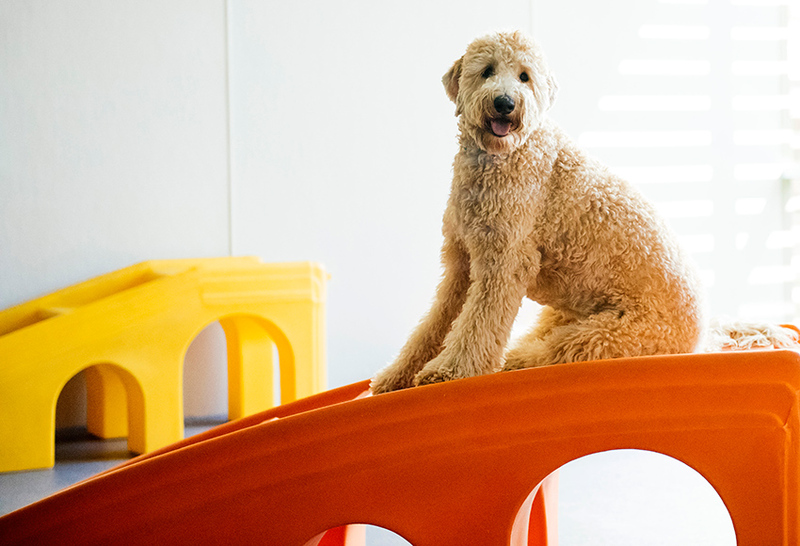 We are a family-owned destination for dog daycare, boarding and spa services. We are located just off of I-10 on Airline Highway in a central location that is just minutes from Old Metairie, Mid-City and Uptown. 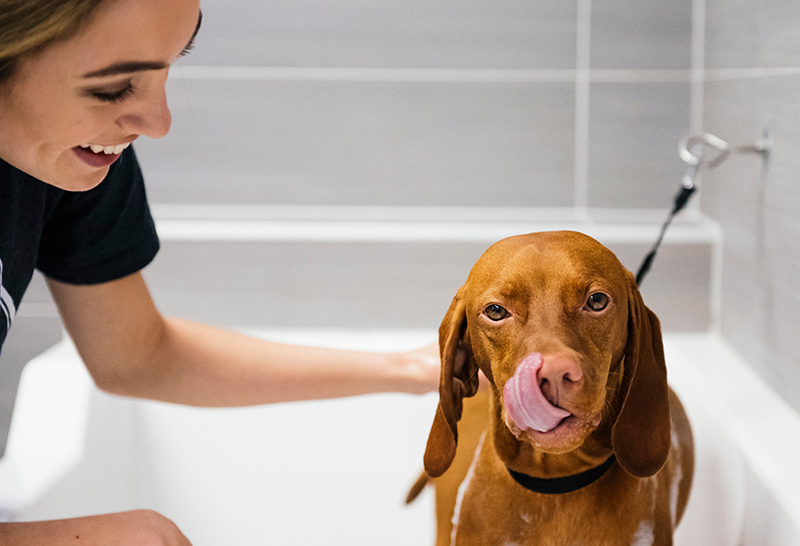 Our mission is to make sure our four-legged clients have a fun time when they stay at our fully equipped, spacious facility.